I would like to personally, as CEO of this company thank you for taking the time out to visit our website. I stand 100% behind the integrity and reputation I strive for each and every day as a business owner. My vision and goals for this company is to be with the client before and after the project is completed. We are not salesmen at Dawkins Development Group Inc. Our first approach is to listen to the client needs, then access the damage. This company was built on values and honor. We stand behind our word. You are the customer and our customer service is outstanding. It’s important to me, my staff, and the community we are working for. If your warranty is up and you call Dawkins Development Group, we will never walk away from your project. We will come out and evaluate your request. If it’s something pertaining to our workmanship, we will have it corrected in a timely manner. If it’s not due to our workmanship then at that time we together will come up with a solution to solve the problem. We provide you with a specific consultant, project manager and even administrative personnel, who knows you project. As a result, we can assess any concern with speed and accuracy. We earnestly work towards eliminating all the “kinks” you may face throughout the process. Providing service that surpasses all expectations is the only way we operate. We are with you from the initial concept to the final paint stroke. We follow all the manufacturer’s specification and recommendations to provide you with a full warranty that includes our workmanship. Dawkins Development Group Inc. was started by Daniel Salem Dawkins II. Mr. Dawkins vision for this company is like no other company in the market. Dawkins Development Group was created to be your official home solution. Mr. Dawkins have been in the construction business for over 18 years. Daniel Salem Dawkins started out building in North Carolina in 1997 and after a few years he moved to Atlanta, Ga. In 2000. He built relationships with suppliers, sub-contractors, other building companies and over 300 clients. Mr. Dawkins have built his custom home building construction company in Metro Atlanta called Unique Impressions Construction Inc. After the company started to grow, Mr. Dawkins realized that he carved his niche in the market in the area of Home Building and Remodeling. In 2007, Daniel Dawkins tested the market out in New York City by traveling with company employees to renovate two brown stone building in Brooklyn. With him being originally from Queens, New York- he always had a passion of returning home to serve the community where he was born. After getting married and having five beautiful children, he and his wife together decided to relocate back home and branch the business home office based out of Bayside Queens and serving the whole New York Tri-state area. 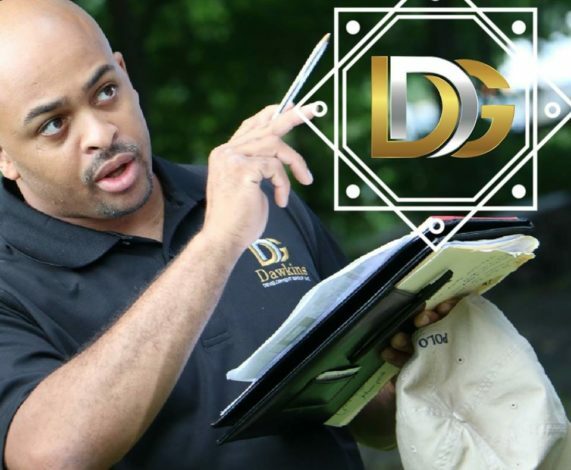 Daniel Dawkins knew the company brand had to fit the needs of the new market change, so he changed the name and created a whole new company brand that is known today as Dawkins Development Group Inc. When a builder is sincere, he means what he says. He cares about his clients and their needs. When a builder is honest, he says what he means. You can trust him to respect your needs and wants. When a builder is hard-working, he does what he says. He works fulltime for you. When you find all these qualities in on builder, you have an unbeatable combination. That builder is Daniel Salem Dawkins II. Call him today. Copyright © Dawkins Development Group Inc.